Avoid the hassle of writing down return addresses by printing your own personalized return address labels. Here at UPrinting, you can customize your template using our online design tool, and get it proofed for free to make sure they get printed without any design mistakes. Get your return address labels individually cut or in a roll. Cut-to-size can be printed on 70 lb. 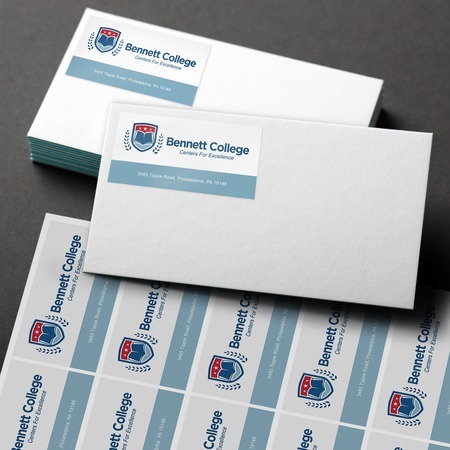 matte, gloss or high gloss with optional rounded corners and are ready to be shipped in 2 or 4 business days. Roll labels are available in rectangle, square, circle, or oval shapes, and can be printed on an adhesive paper, plastic/film BOPP, or textured paper. Printing turnaround is 2, 4 or 6 business days.